Despite the ridiculously hot weather, summer is coming to an end. One more month to go. The past few nights I've been chopping away, stocking up my freezer with summer veggies for the fall and winter months ahead. 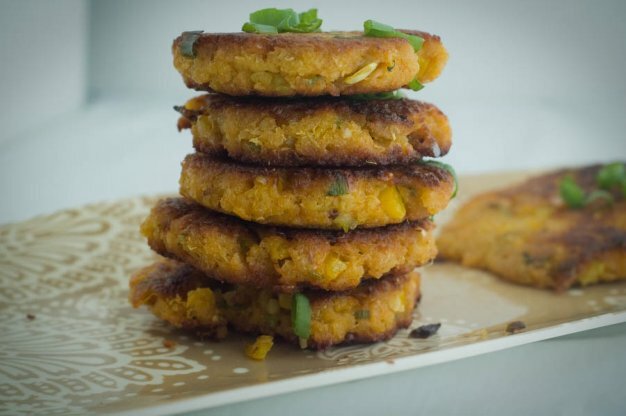 As I was preparing some fresh produce to store away, I decided to whip up some veggie cakes. So happy I did!!! They came out delicious! So I wanted to jump on here before bed & share some pics & the recipe. Trust me!!! These are sooo good!! Grate zucchini, squash, and carrot in a large mixing bowl. Place the grated veggies in a clean dish towel and squeeze the excess water out. You should see a significant amount being squeezed out. Toss the remaining ingredients in the bowl & mix. Form about 8-9 patties and place on a baking sheet. Let them sit in the fridge for a few minutes. Heat 3-4 tbsp of grapeseed oil in a skillet on medium-high heat. 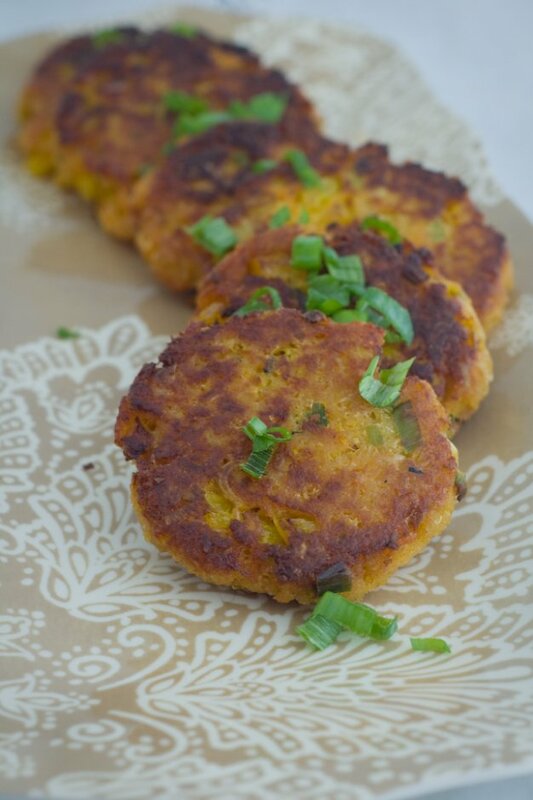 Cook the patties in the oil until the patties have a nice golden brown crust on each side.